Naomi Purkiss Boutique make made to order bespoke clothing, from unusual bright coloured and bold pattered fabrics. Her designs and styles are flattering and unique, and due to the way they are cut many of her pieces would be perfect to wear if you are pregnant. WHY WAS IT CREATED: Originating from my obsession with vintage and unusual fabrics, I started designing easy to wear, flattering garments in bold colours and prints. 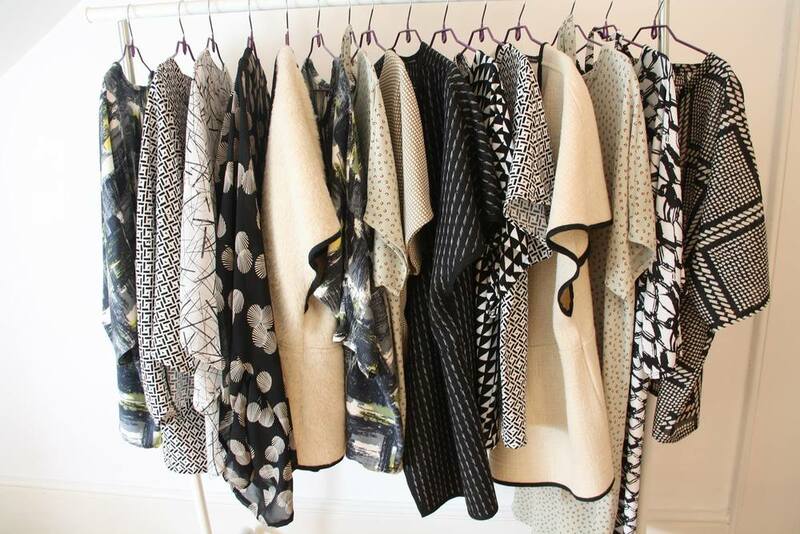 All items are made with carefully sourced fabrics and there are only a few of each made and some are one of a kind. Women feel special knowing they are wearing something unique which will not be found anywhere else. WHAT WE NEED TO KNOW ABOUT YOUR BRAND: I offer a personal service where customers can choose a garment shape, choose a fabric and choose a length and I will make to order. Items can also be selected from the rail of current stock at my home studio in South London. Alternatively customers can place an order via email. Join my mailing list by contacting me at naomipurkissboutique@gmail.com for information about my 'Top Night' events or follow me on Instagram.